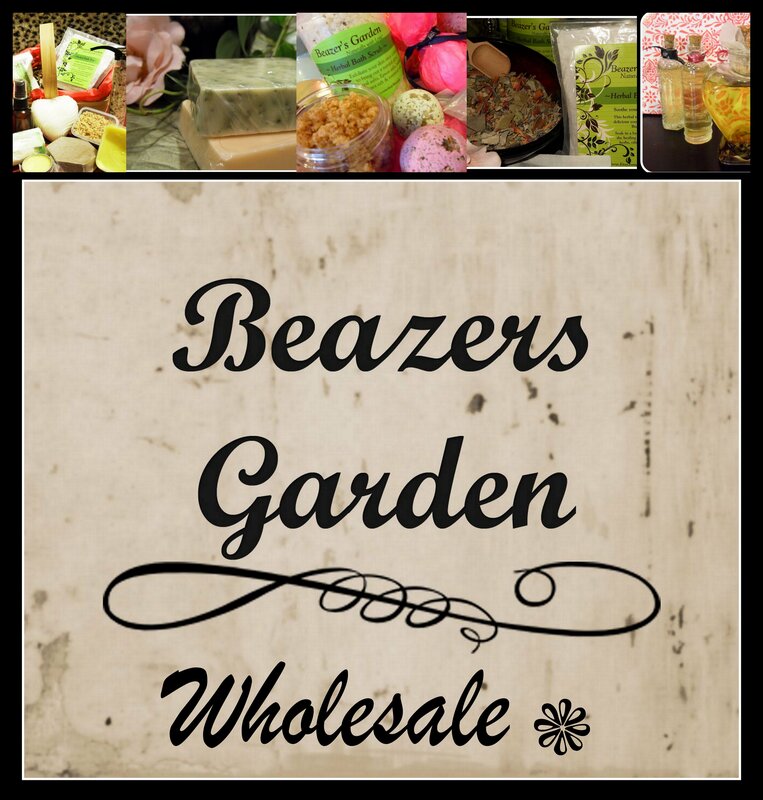 Ever seeking to expand the availability of the Beazer's Garden handmade product line, our wholesale pricing list is readily available for online websites and brick & mortar boutiques looking for a marketable, natural, locally handmade product line for their business. Beazer's Garden carries a distinctive line of high quality, all natural bath, body & home products that will appeal to every member of the family. Initial Minimum Order $100.00 product total before shipping (can be of mixed selection). Discounts available for orders over $300. We are able to accommodate special requests. *Store discounts, sales, coupon codes do not apply for wholesale purchases. ~Orders are produced on a first come, first paid basis. ~We require 50% payment to begin order with balance to be paid before shipping. ~Postage can be estimated at time of order and will be billed at shipping. No Exchanges, Trades, Returns or Swaps. Due to the nature of handmade products, items are not reusable once it leaves the shop. This is for all customers protection against product contamination.